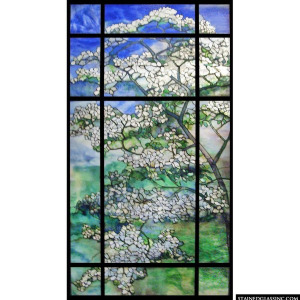 With this beautiful American-made stained-glass panel, your troubles are sure to float away like the petals of this serene magnolia tree. Handcrafted from mineral pigments and polycarbonate glass, this panel is perfect for your home or church, and will surely calm the mood of any room. Custom made to fit any door or window panel, the colors and spirit of this work of art will surely be a great addition to any room.